Archaeologists are to start digging for another of Britain’s ‘lost’ kings – this time under a school playing field. The team searching for medieval monarch King Stephen, who died in 1154, hope to follow in the footsteps of those who found Richard III. Thousands gathered to witness his burial at Leicester Cathedral yesterday after his discovery under a car park in the city. The fresh search is set to take place this week 160 miles away in Faversham, Kent. Stephen, grandson of William the Conqueror, was crowned in 1141 after the death of Henry I. His reign was dominated by civil war and he died from illness in 1154 and was buried in the grounds of Faversham Abbey along with his wife Queen Matilda and son Eustace. The abbey was demolished by Henry VIII in 1538 and when it was excavated by archaeologists in 1965 the bones of Stephen were not found. 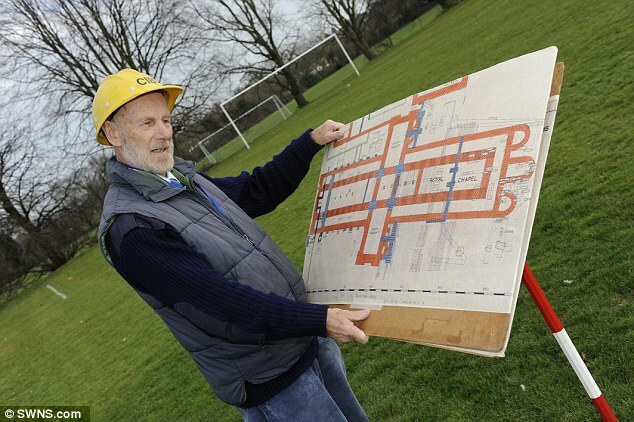 But local archaeologist Dr Brian Philp claims he has located the site of the former’ abbey’s royal vaults and believes an excavation will unearth Stephen’s tomb.Dr Philp, director of the Kent Archaeological Rescue Unit, has identified the playing fields at Queen Elizabeth’s Grammar School as his resting place. He said: “I have now relocated the site of the royal vaults. We did not find any human bones in 1965 but the vaults were not fully excavated. “Once we have found the exact location, we may be able to find the bones.” He added: “As Richard III has been so celebrated recently, we want to have a big ceremony and a plaque to commemorate King Stephen. “After all, Stephen was buried 330 years before Richard III and certainly not in a car park. “We hope the school and the Faversham Society will have a part in this project. This is a crucial historical site in Kent.” Dr Philp hopes to begin excavation of the playing fields this week.